November is almost upon us, and unlike last year the push to make Canadians aware of the dangers of high levels of radon concentration in their home is gaining momentum. Once again, Health-Canada has announced that November is radon awareness month in Canada. We may have seen the headlines: “Radon is the second biggest cause of lung cancer behind smoking”, “Radon kills around 1,900 Canadians each year” and “About 7% of Canadian Homes have high levels of radon” but what do these headlines mean when the vast majority of the population across Canada are still blissfully unaware of the potential dangers that lurk in the lower levels of their homes and workplaces? So let’s look at the statistics behind the headlines. We will drill down into the recent statistics from Health-Canada and try to identify if the problem is as bad, or worse than we are led to believe. First and foremost, Health-Canada identified that “There are no areas of the country that are ‘radon free’. This means that the survey recognizes that radon can be found anywhere. The testing in Ontario was performed in 1,849 homes across 36 health regions. In the Niagara Region, just 100 tests took place over two years. That represents just over 1% of all the households in the Region. This is hardly representative given the vast area of the Niagara Region and the massive variation in geographical topology and geological structure. Next we need to look at where the survey told the participants where to put the test kits. The placement of sampling devices is paramount to identifying the true extent of Radon infiltration into homes. Home owners were asked to place the devices in the lowest living area where people spend four hours or more a day. This can be interpreted in many ways. Unfinished basements, which are the norm in all new homes were considered not representative in this study, and therefore the uncounted thousands of new homes with unfinished basements were not tested properly for radon infiltration, just for radon risk to the inhabitants. This is an important point to note, and many of us that buy new homes buy them with a view to finishing the basement, either as extra living space or to add value to the property. Not testing in the basement is, in my opinion, a fundamental flaw in the survey. For example, of the 100 homes that were tested in the Niagara region, 98% were below the reference level of 200Bq/M3 radon concentration and 2% were over 600Bq/M3 concentration. Strangely though, the Niagara region was the only region that posted excessively high concentrations that posted no readings in the range 200-600Bq/M3. This is an anomaly that wasn’t just unique to the Ontario study, but was unique to the whole of Canada. This suggests that some of the lower reading may have been inaccurate. It was also an anomaly not recognized or identified in the Report. This highlights another important point about the way the survey was carried out. Asking an untrained person to test for Radon is tempting failure. Placement in an incorrect location, operating the wrong appliance in proximity to the device, opening or closing a door, having too much humidity are some of the many reasons why the Alpha-Track devices used by Health-Canada in the study could report low readings. Again, this in my opinion is a fundamental flaw in the survey. Radon Measurement Professionals who have been trained to the standards recommended by the U.S. National Radon Proficiency Program (NRPP) or it’s Canadian Equivalent (C-NRPP) have been educated to know how to analyse a homes use, how to identify how the lifestyle might affect the choice of sampling device and type of measurement test required. They are also able to explain to the homeowner what needs to be done and not done during any measurement as well as answer any questions the homeowner has about Radon and the risks it poses. Having a trained professional perform a radon measurement test may be a little more expensive, but it virtually guarantees accurate results. This would have been great for the survey, but more importantly it is crucial to those of us who want to ensure our homes are risk free. In 2008 Health-Canada said they found Chrysotile Asbestos to be “safe when used under controlled conditions”. This was at a time when Canada was one of the leading producers of Asbestos. Here we are six years on and Health-Canada have set a reference level for mitigation on radon. This is double the level recommended by the World Health Organisation and 35% higher than that set by the Environmental Protection agency for our neighbours in the U.S. While on the surface of things, the problem looks to be insignificant, there is the underlying worry that Health-Canada recognised that in 2009 over 1,900 Canadians died as a direct result of exposure to radon gas. Since then, we have been building and making our homes tighter. This stops the escape of energy and air from our homes. If that air is tainted with radon gas, it also stops us reducing the risks posed by the gas. 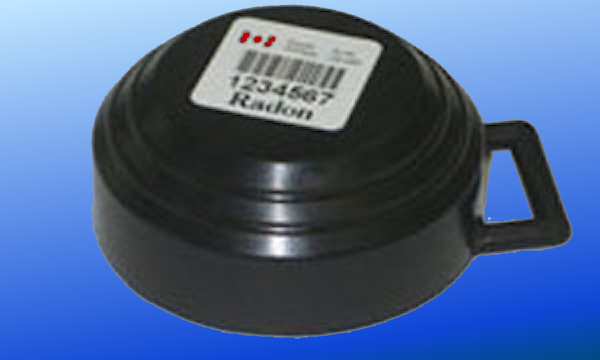 Radon is recognised by over 300 international bodies as being a serious health issue. Reducing the amount of radon gas that creeps into our homes from the soil, ground water and components that may have uranium and radium bearing rock in it is simple and relatively inexpensive. But before spending money on such mitigation systems it would be good to know a problem exists in the first place. The Realty profession has not been affected by the radon issues in Canada as of yet. But we generally find that the legislation here in Canada follows that in the U.S. when it applies to Health, Consumer or Litigious concerns. The U.S. has implemented an aggressive program of requiring Realtors to ensure radon disclosure forms are completed by Home Sellers. Home Buyers are starting to become aware of the problems of radon and are demanding radon test results for homes being purchased. How long will it be before that trend moves north of the border? Realtors need to be aware that many radon measurement companies also provide mitigation services. In order to protect themselves from possible disciplinary action by the regulator for REBBA or Code of Ethics breaches Realtors should refer only radon professionals who do not, or refuse to, perform mitigation services on homes they have performed measurements in. This avoids any conflict of interest claims that might be brought against the Realtor. Inspectors who operate to the OntarioACHI standards of practice and code of ethics are prohibited from providing mitigation services on homes they have inspected for 12 months following the inspection. This makes them a good choice for referrals where they are suitably qualified to perform radon measurement tests. always ask for their Certifications and scan their membership cards to ensure they are currently certified. As for the rest of us, in order for us to truly understand the potential risks to our health radon poses, we need to encourage home owners to test their homes, more thoroughly, and more regularly.